“Dexter” is a great movie with spiritual elements and a Spiritual Choice. This is a story about Dexter, an individual who survives by following the principles of his foster father. Dexter feels lonely because he is different from others. The main source of his difference stems from his aspiration to feel the vibrations of fear and pain in people. This aspiration comes from his subconscious; Dexter is not able to change himself but must simply follow his life script. 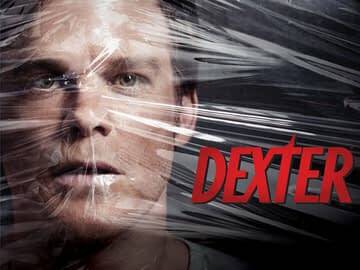 Although he is a serial killer, Dexter elicits sympathy because he is “cleaning,” removing from the world other murderers obsessed with unjustified cruelty. This is how his foster father “programmed” him, with Dexter’s acceptance. The culmination of the story is the protagonist’s Spiritual Choice*. Dexter meets his own brother in blood, who introduces him to “false freedom**” and offers a “true brotherhood”. Dexter is pushed to choose between two directions – darkness and light. In the first case, he would follow his brother by their common fate. In the second case, he would follow the direction of helping people to get rid of the serial killer and save his foster sister. The second choice, which Dexter selects, gives him a new chance to integrate into human society and go farther towards the Light. Notes: *In most cases, a spiritual choice is designed before the soul’s embodiment into a new life. The soul will appear “in the right time, in the right place and into the right circumstances” with a life script given by our Higher Brothers. **Be aware – there is no Freedom in the Darkness; the freedom as a value belongs to Light only. But the Prince of Darkness (Satan) is very skilful in using any means to catch a “naive” soul and drags it into his pool. In the case, if Dexter had chosen his brother, he would have become dependent on him and would have lost his Freedom and Free Will forever.